Commonly referred in the labeling and packaging market as durables, these applications must be produced by converters in a way that complies with strict staying-power regulations. Earlier this year, Digital One, a CMYK dry-toner device with inline converting, received the BS 5609 certification on Avery Dennison substrate. This achievement comes in wake of a UL 969 certification earned by Digital Series, a total-production UV inkjet solution, validating both Avery and FLEXcon material and adding to the portfolio of certifications available to our partners. If you want to be able to provide reliable durable labels to your customers you have two options. One option is to complete certain tests and certifications required by a specific industry, submit it to a UL lab, and wait for the results (time x money). On the flip side, you could realize you’re doing something that’s already been done by a material manufacturer, consulting resources like the Avery UL ready guide, and notify UL you’d like to adopt their certification. Pretty simple, right? That’s the process, and Digital Series retains a UL 969 certification with Avery substrate. Many industries require a UL certification for durable labels to conduct business, and almost all recognize the UL 969 certification as the broad entry point into durables, which is a large and fortuitous market niche. Whatever print technology you own or market segment you explore, you should have the option to expand your book of business into durables and that starts with a UL 969 certification.The Digital Series recieved the UL 969 certification. Going further down the rabbit hole of durability, let’s say your customer wanted to ship an oil drum via sea freight. Well, you would need a BS 5609 certification to comply with maritime standard. The BS 5609 ensures a label will be intact and legible after 3 months of saltwater exposure without fail and is a mandatory prerequisite for shipping any oil/chemical drums overseas. Avery Dennison completed the certification with the Digital One press on behalf of Mark Andy. The Digital One received both Section 2 and Section 3 certification on Avery Dennison substrate. Section 2 guarantees a blank label will adhere to the drum surface after 3 months submerged in saltwater. The test includes exposing the label to artificial weathering (salt spray & sunlight). Section 2 tests the blank label stock, whereas Section 3 tests the printed label. Labels are tested for abrasion resistance and permanence of print. The process includes exposing the label to artificial weathering tape removal and abrasion resistance to ensure the label is undamaged and legible after 3 months of being submerged in saltwater. What Does This Mean for Optimization? When a press manufacturer receives a certification, an owner of the same OEM technology has the option to personally adopt that certification for a certain substrate, which means that extra time and resources don’t need to be allocated for testing. The testing has been done, and the certification has already been acquired. Should a converter choose to pursue certification, the process can often be costly and time consuming, and if you’re looking to pivot quickly into a new market niche that requires a specific certification, be prepared to wait. “It’s not a fast process. It’s a painful process”, says Nat Davis Product Manager, Digital Series at Mark Andy. No matter the market or business opportunity, having technology which has already been certified allows the converter more freedom to execute new applications upon demand. 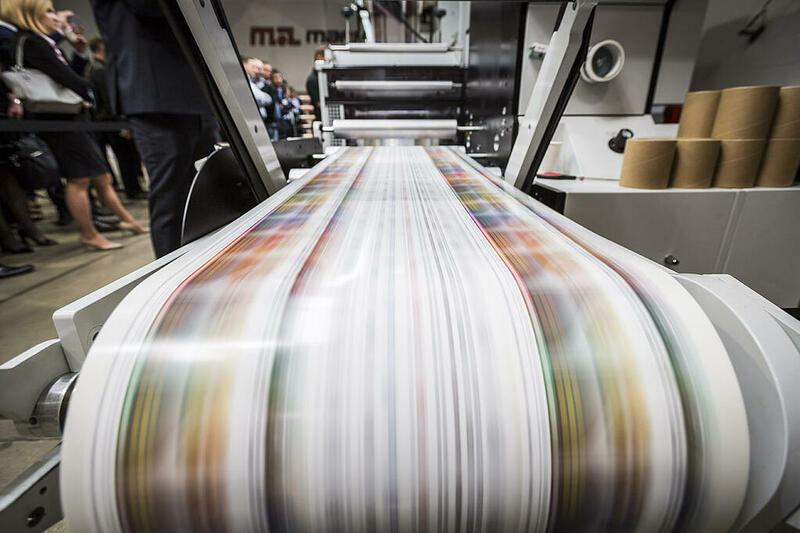 An advantage to printing durables using a digital press is that you’re able to anticipate change in the market without sacrificing significant print speed. With fluctuating trends, changes in government policy, and the multiple language & compliance variables region to region, production runs for industrial markets are becoming shorter. With digital hybrid capability, printing in different languages and in compliance with regional government mandates, happens in the moments it takes to send an updated file to the press, which means minimal time and material waste. Also, the inkset of a digital asset remains constant, making it easier to maintain the certification needed for a job while regularly modifying the label creative. This is commonly done by tweaking font size, language versions, or any other variable in the middle of a run. 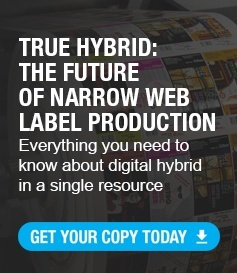 Durable label certifications open the door to new markets, while inline digital hybrid printing allows an organization to be nimble, anticipating and supporting new opportunities.